Federal Emergency Management Agency (FEMA) flood maps for Grant County and all Cities will change and be effective July 18th, 2017. If you live in or near or have been rezoned into a Special Flood Hazard Area (SFHA) and have a federally backed mortgage (any loan), your lender may require you to have flood insurance. Receiving this brochure means you are in or very near a Special Flood Hazard Area. If you are clearly not in a flood zone, a Determination Letter is available from the County's Floodplain Administrator by email: [email protected] or telephone at 870-942-3333. The 100-year floodplain is the area that has a 1% chance of being flooded in any given year. The often-heard statement that it happens once every 100 years is a misnomer. Put another way, it has a better than 26% chance of being flooded over the life of a 30 year mortgage. Smaller floods have a greater chance of occuring in any year and can still create a significant flood hazard to people and property in close proximity of flood prone areas. Flood Map Information: Property owners are urged to check the FEMA Flood Zone Map which is available onlie through www.fema.gov or drop by the Grant County Emergency Management Office to view the map. Insurance rates vary according to zones within the Special Flood Hazard Area (SFHA), the elevation and value of the property. In addition, some areas of the County may no longer be in the SFHA and property owners in those areas might choose to drop or reduce their flood insurance. Any property with a federally backed mortgage must be protected with a flood insurance policy from the National Flood Insurance Program (NFIP) if you are in a SFHA. Private mortgage companies may require flood insurance for properties in the hazard area. Local Flood Hazards: The most common threat of street and yard flooding in Grant County is during extended periods of heavy rainfall. The County has not experienced any major flooding since 2009 when many roads, culverts and bridges were damaged due to prolonged flooding. Flood Safety: If you are advised to evacuate, turn off utilities at the main switches or valves. Disconnect electrical appliances, but do not touch any electrical equipment if you are wet or standing in water. 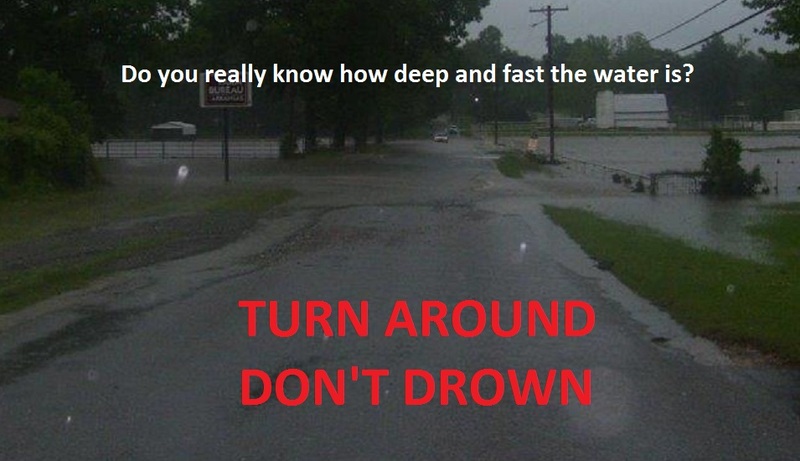 Do not drive or walk through flooded areas. Use a flashlight to inspect for any damage. 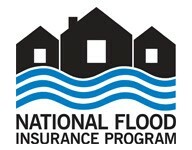 Flood Insurance: The National Flood Insurance Program (NFIP) provides flood insurance to people who live in areas with the greatest risk of flooding called Special Flood Hazard Areas (SFHA). Property owners who hold a federall backed mortgage must purchase flood insurance if the property is located within a Sfha. Standard homeowner's insurance policies do not cover flood damage. There is a 30 day waiting period before the National Flood Insurance Program coverage takes effect. You may find a local insurance agent that writes flood insurance in you area at www.floodsmart.gov. Property Protection: Every year flooding causes more property damage in the United States than any other type of natural disaster. Recent construction practices and regulations have made new homes less prone to flooding, many existing structures remain susceptible. In the event of a flood threat, it is advisable to take the following emergency actions: Bring outdoor belongings inside the house, elevate funiture above flood protection levels, and secure your home before leaving by locking doors and windows. Use sandbags to prevent flood waters from reaching your home. Information on retrofitting or flood proofing your structure to reduce the impact of flooding is available at www.floodsmart.gov or the Grant County Library located at 210 N Oak St in Sheridan. Publications on protecting your property are available on the website at www.fema.gov/flood-or-flooding at the national Flood Insurance Program. Floodplain Development Permits: Extra requirements are involved when developing in the floodplain. Construction, repairs, additions, digging, fences, fill or tree removal requires a permit from the County's Floodplain Administrator. A permit may be obtained here Floodplain Development Permit. Illegal floodplain development must be reported to the county's Floodplain Administrator by calling 870-942-3333. Sustantial Improvement Requirements: The National Flood Insurance program requires that if the cost of reconstruction, rehabilitation, additions or other improvements to a buiding equals or exceeds 50% of the building's market value, then the building must meet the same construction requirements as a new building. Substantially damaged buidings must also be brought up to the same standards. Grandfathering Rule: Should the new map show your high-risk property is at greater risk for flooding than shown on the previous map, your flood insurance rates will likely change. However, the NFIP Grandfather Rule may save you money by locking in the previoud flood zone or the Base Flood Elevation for insurance rating purposes after the new map becomes effective. This rule also applies to structures built before the community's first flood map was issued. Your insurance agent can help determine this for you. Depending on a structure's elevation, there may be cases where using the new flood map to rate your policy may result in a lower premium than grandfathering. Be sure that your insurance agent checks all options. Natural Functions: Grant County has many miles of rivers, streams and creeks, the Saline River runs through the county from the Tull area to the County line on the west side of Hwy 167 S. Jenkins Ferry State Park is located on the Saline River north of Leola and southwest of Sheridan and has 26.35 acres of natural flood area. This 26 acre park provides nesting places for all types of wildlife. A Wetlands Area map of Grant County may be located on the Federal Wildlife Service website at www.fws.gov/wetlands and water levels of rivers and lakes can be located on the Corps of Engineers website at www.swl-wc.usace.army.mil. The Arkansas Game and Fish Commission website has a link to flood prone hunting areas at www.agfc.com/hunting/pages/huntingfloodproneregions. Proper Drainage Maintenance: Proper drainage helps to reduce the risk of flooding. Yearly the Grant County Road Department inspects the drainage ditches and culverts to insure proper flow of flood waters. This has reduced the amount and duration of road and yard flooding during heavy rainfall. The community can help by making sure their culverts and ditches are cleaned of trash debris, yard clippings, leaves and other obstructions that can back up proper flow of rain water. Should you feel that there is a drainage issue on your county maintained roadway you may call the office to report it at 870-942-3333, someone with the County Road Department will inspect the area. Grant County Is Here To Help: The County's Floodplain Administrator keeps copies of elevation certificates you provide us whenever filing for a Flood Permit. You may request a copy of your elevation certificate, if on file, by emailing [email protected], calling 870-942-3333 or coming to the office located at Grant County Emergency Management (GCOEM) 130 Grant 74, Sheridan, AR 72150. The County also has available brochures at the Grant County Library and GCOEM. The County maintains this website that has floodplain informations such as current ordinance, flood code, flood permit and determined Base Flood Elevations. Real-time flood data is available through the National Weather Service website at www.weather.gov/lzk/ or the US Geological Survey website at www.usgs.gov/media/images/flood-inundation-mapper-0 and flood depth data from the National Weather Service is available at www.water.weather.gov/ahps/. The FEMA website is a food source of information on the National Flood Insurance Program at www.fema.gov/national-flood-insurance-program along with the Arkansas Natural Resource Commission in Little Rock which is the States flodd control agency. You may visit their website at www.anrc.arkansas.gov.